Jon Rothstein (@JonRothstein) is a long-time college basketball insider for CBS Sports Network. Galen Central caught up with Jon and talked about the future of USC basketball and how competitive Pac-12 basketball will be this season. What are your thoughts about USC hiring Andy Enfield? It’s an interesting hire. Andy had a lot of success during the NCAA Tournament with Florida Gulf Coast and he was definitely the trendy name last March. I think what’s important in this transition for him was surrounding with people that were familiar with Southern California from a recruiting perspective and he did that with the hires that he made in capable assistants Tony Bland and Jason Hart. He’s picked up a couple transfers that should make an impact next season. But, USC’s success will ultimately be dependent upon what they do for their 2014 recruiting class. How quickly can Enfield change the culture and the national perception of USC’s basketball program? It all comes down to style of play. USC during the second-half of last season showed flashes of being a productive team, a team that could’ve been competitive in the Pac-12. It’s going to be a matter of getting the idea across that they’re going to play faster and more open. The sooner that people can see that style of play when they watch USC, the easier it will be for Enfield and his staff to sell the Trojan brand. Even though their hires weren’t as publicized as Enfield’s, what do new assistant coaches Tony Bland and Jason Hart add to the team? Coaches that can get players in California. From every college coach that you talk to, the 2014 and 2015 recruiting classes are extremely deep in the Southern California region. 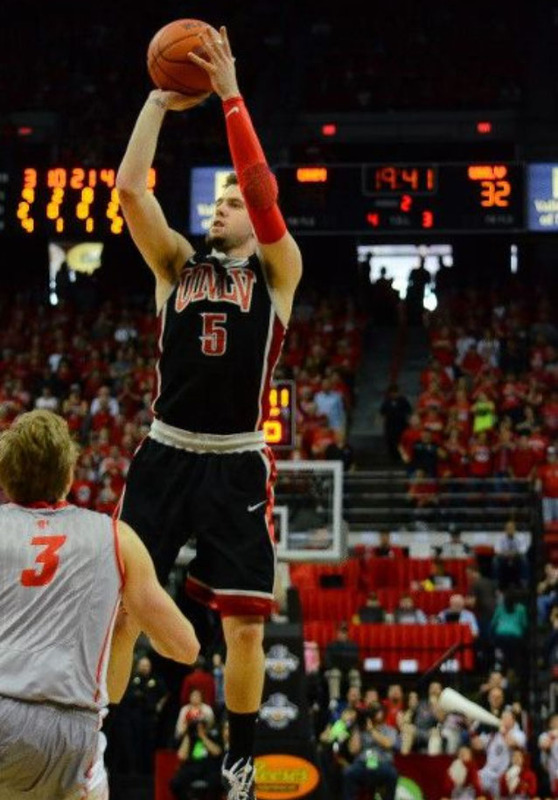 USC has already proved that they can take care of their own by getting Katin Reinhardt to transfer from UNLV. Stanley Johnson is a player in the 2014 class that USC has to have if they’re going to rebuild the program and be a player in the Pac-12, a conference that continues to get better and better with each passing day. 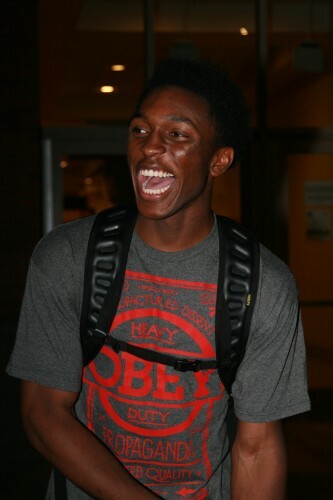 Speaking of Stanley Johnson, what are your thoughts on the chances that Johnson commits to USC? Stanley Johnson is in a situation where he can come in and be with someone that he’s familiar with in Katin Reinhardt. I think addition of Reinhardt really helps USC’s chances for Johnson. That connection is something you need to keep an eye on throughout Johnson’s recruiting process. What do you think about Enfield’s early strategy by loading up on transfers? Loading up on transfers works for some people like Fred Hoiberg over at Iowa State. USC has done this before, we saw last season a lot of those transfers became eligible. But the team didn’t mesh like many people, including myself, thought they would. I think Darion Clark is a blue-collared type player that will give USC a lot of mileage as a role player. If USC can add a capable point guard, Reinhardt is a guy who is a nice piece of the puzzle at shooting guard. What about Pe’Shon Howard’s transfer and his potential role for next season? Pe’Shon is a fine stopgap point guard, he’s serviceable. He had moments in Maryland when he showed that he was capable of running the team and not turning the ball over. I think for one year, he’s a good guy to transition to from Jio Fontan. Which incoming freshman will make the biggest impact right away? Right now, the guy a lot of people need to keep their eye on is Julian Jacobs. He’s a 6’4” point guard, which USC desperately needs. He has an opportunity to come in and if he can be somebody that has the type of season that a lot people hope he will, he can be their answer long-term. At least he can give Enfield another option to think about for this season. Whose game will benefit the most by playing in Enfield’s system? I’ve always been a big Byron Wesley guy. He’s a guy who has the biggest opportunity to grow because he can play at USC for two more years. He has a good chance of having a breakout junior season under Enfield. What did you think about Dewayne Dedmon’s decision to leave USC after Enfield was hired as the coach? How much will his loss hurt USC? It’s a devastating loss because he was their best defensive player. USC has to be worried about losing their heart and soul in Fontan and their best rim-protector in Dedmon this past offseason. Those two losses are a couple reasons for apprehension for USC fans. Where do you think USC will finish in the Pac-12 in Enfield’s first year? Probably 11th or 12th right now. Everyone is getting better in the conference, there’s a chance that seven or eight of these teams make the NCAA tournament for this upcoming season. Washington State and Utah played very competitively late last season and will improve this year. Oregon State has a few key frontcourt players returning in Devon Collier and Eric Moreland, along with starting center Angus Brandt coming back after sitting out. It’s not a matter of USC really being that poor, it’s that everyone around them got better. On the other side of town, what do you see in UCLA’s future with Steve Alford as their new coach? They have a chance to have a really good perimeter this year. Jordan Adams, regardless of what people said, was the best player on UCLA last year. Kyle Anderson is as skilled and versatile a forward that there is in college basketball. Big question for UCLA is how they replace what Larry Drew II gave them at point guard. Because of the job Ben Howland did in his development, he was a top-10 point guard in college basketball last year. I think you’ll see UCLA be really strong in certain areas this year, but their point guard play will dictate how far they’ll go. Who is your surprise team this year in the Pac-12? Stanford’s going to have a really good year. Their core is returning and Anthony Brown is back. I also am really high on Colorado even though they lost Andre Roberson. If they can get a good season defensively out of their bigs and Xavier Johnson has the breakout season that I anticipate, they’ll be right at the top of the Pac-12. Is the Pac-12 back among the top conferences in college basketball? The Pac-12 is one of the top conferences for basketball again. As a conference, the Pac-12 is right after the ACC and the Big 10 now. The top tier of the Pac-12 has yet to sort itself out. When you look at the Pac-12 now, Arizona’s clearly the best team, but after that the level of separation between the next six teams is minimal. There are a bunch of good teams that have a chance to beat anybody that they play. Who are your projected Top 5 teams in the Pac-12 next season?